In 2003, Seth Shostak an American astronomer, currently Senior Astronomer and Director, Center for SETI research predicted "We could make contact with extraterrestrial beings by the year 2025." Now, according to NASA scientists signs of alien life will be detected by 2025, while "definitive evidence" of extra-terrestrial beings may be found within the next 20 to 30 years, top Nasa scientists say. 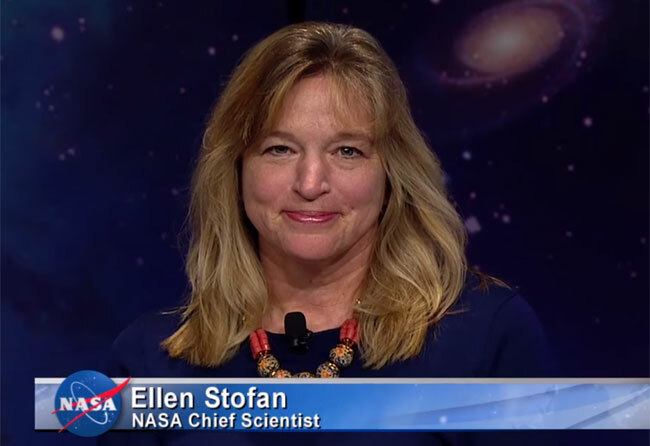 "I think we're going to have strong indications of life beyond Earth within a decade, and I think we're going to have definitive evidence within 20 to 30 years," Nasa chief scientist Ellen Stofan said. Stofan was speaking at a panel discussion that focused on Nasa's efforts to search for habitable worlds and extra-terrestrial life. "We know where to look. We know how to look. In most cases we have the technology, and we're on a path to implementing it. And so I think we're definitely on the road," Stofan added. John Grunsfeld, associate administrator for Nasa's Science Mission Directorate, also predicted that signs of life will be found relatively soon both in our own solar system and beyond, 'Space.com' reported. "I think we're one generation away in our solar system, whether it's on an icy moon or on Mars, and one generation (away) on a planet around a nearby star," Grunsfeld said. According to Grunsfeld, recent discoveries suggest that the solar system and broader Milky Way galaxy teem with environments that could support life as we know it. Oceans of liquid water, for example, slosh beneath the icy shells of the Jupiter moons Europa and Ganymede, as well as that of the Saturn satellite Enceladus. Researchers have found that oceans covered much of Mars in the ancient past, and seasonal dark streaks observed on the Red Planet's surface today may be caused by salty flowing water.